FXPansion’s Percussion Expansion Pack for BFD2 brings a new variety of drum samples to your digital audio workstation. Including over 26GB of new drum samples, Percussion Pack won’t leave you unfulfilled. This package brings you everything from ethnic world drum samples, including Latin, Middle Eastern, Irish folk, and African drums, to strange and outlandish samples including household junk! That right, 46 layers of velocity and multiple articulations of weird and divers house hold objects. Saw blades, cups, beer cans, trashcans, pots and pans, to name just a few. Tambourines, chimes, bells, and blocks give your drum groves more expression and new options. Also included are sound effects like bowed gongs, thundersheets, and waterphones. As with all BFD samples, Percussion Pack was recorded at top quality with high-end microphones, preamps, and digital audio converters. Each drum (or object) has multiple articulations and mixing options like ambience, compression, and reverb. Also included are plenty of grooves and loops to tweak and modify. If you are in need of strange and diverse drum samples look no further, BFD Percussion Pack contains everything from congas to the kitchen sink. 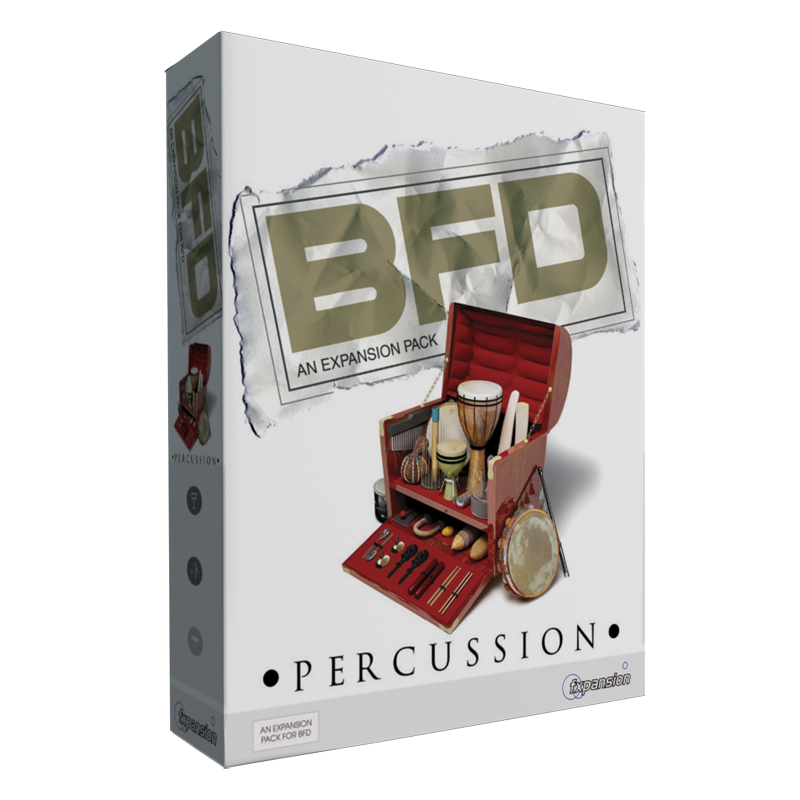 BFD Percussion Pack will bring your tracks to a new dimension of interesting and outlandish drum groves. If you need unique and fresh drums samples Percussion Pack is the BFD expansion for you.